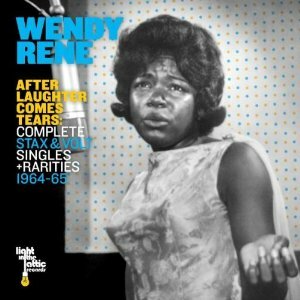 First ever anthology of Southern soul legend Wendy Rene on CD. Tracing Wendy Rene's career from her early days as a member of The Drapels to her solo singles on blue Stax & Volt. After Laughter Come Tears features her entire recording output, 11 singles, 9 rarities & 2 unreleased songs. Backed by the Stax house band Booker T. & The MG' s. Unseen photos with original label art and notes by Andria Lisle. Absolutely Superb! Issued on Light In The Attic records. CD LITA 080 USA.